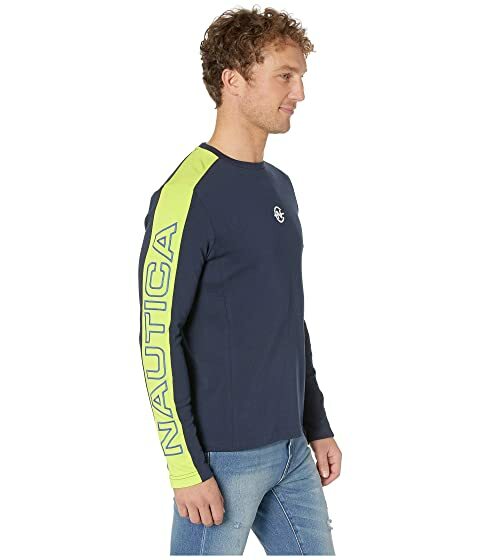 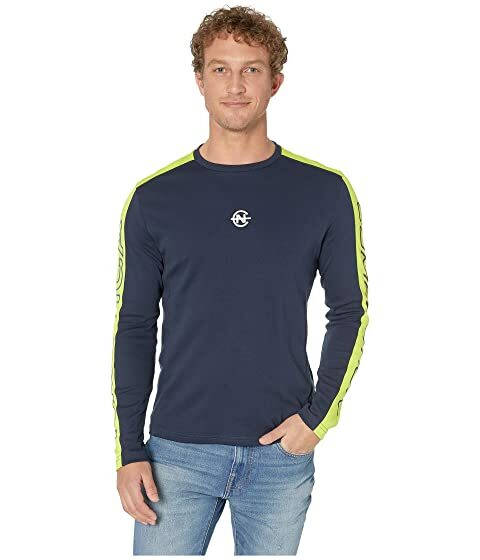 Gear up for some fierce relaxation with the Nautica® Long Sleeve Competition Tee w/ Shoulder Panel. 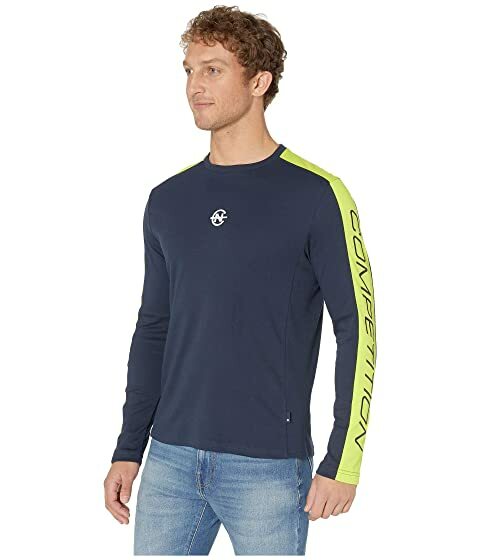 The T-shirt is crafted in a soft cotton/poly blend. 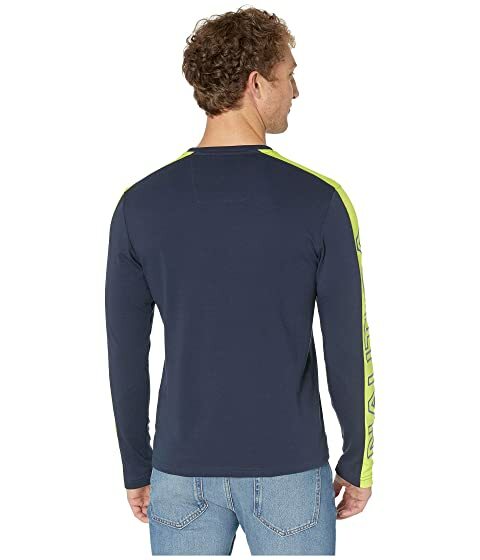 Logo detail at front and down the sleeves.